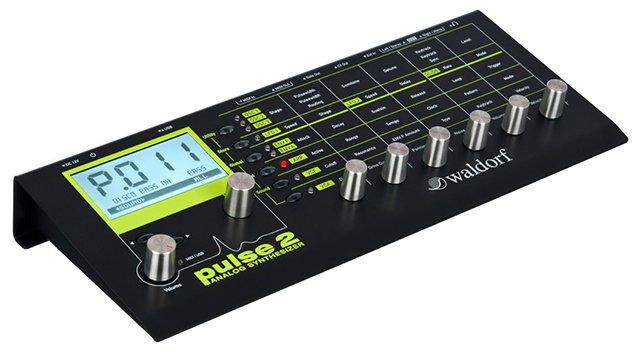 In this music technology roundup: Microsoft introduces the Surface 2 with Music Kit, Waldorf releases the Pulse 2 analog synth, iZotope announces Nectar 2 vocal processor, Reloop’s Keyfader MIDI controller, and Sonic Lab reviews Akai’s MPX8 SD Sample Player. Earlier this week Microsoft announced the release of their second generation Microsoft Surface and Surface Pro tablets, which offer upgrades in processing power and a new kickstand for adjustable positions. But the real interest for music makers was the announcement of a new Surface cover that is aimed at musicians called the Surface Music Kit. The new cover offers pressure-sensitive pads and sliders as a dedicated music-making interface. Engadget got a hands on demo (above video) and says “We were expecting new tablets at today’s Microsoft Surface press event, but this? This was a surprise. 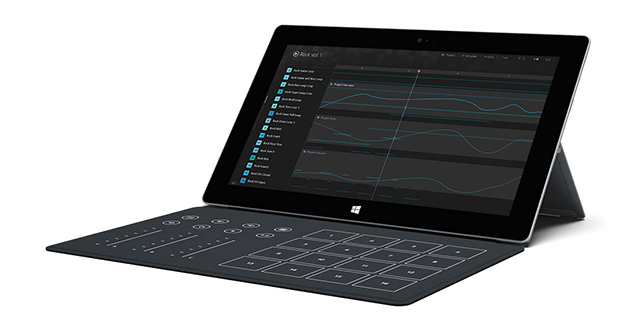 In addition to unveiling the Surface 2 and Surface Pro 2, the company showed off the Surface Music Kit, a special version of the company’s Touch Cover keyboard that’s specifically meant for music production. Actually, it would be more accurate to say that it includes both a Touch Cover and an app (called the Remix Project) that lets beginners experiment with remixing.” Read more at Engadget. Reloop, the veteran DJ controller company who have maintained a presence in Europe for some years, have recently introduced the KeyFadr – a compact MIDI controller that sports a very flexible layout (notice the knobs above the faders), 25 mini keys with 9 playable octaves, transport controls, arpeggiator, chord mode, scale mode, internal or external midi clock, and two control laters. 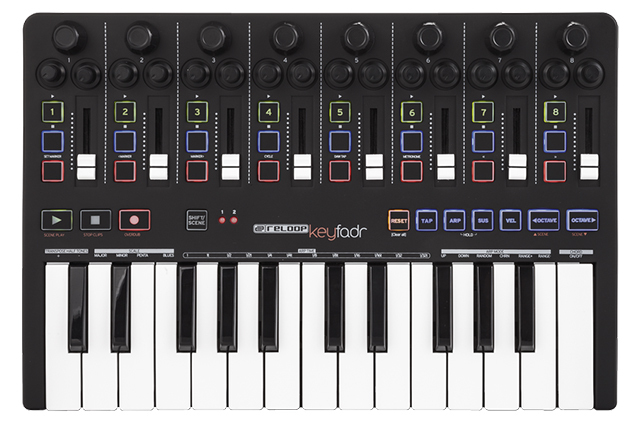 Pricing and availability for the Reloop KeyFadr are TBA. See the Reloop site for more info. Akai’s new MPX8 SD Sample Player is not a sampler. But it is an affordable ($99) sample player that uses SD cards for storage and features 8 pads, MIDI, and USB connectivity. Sonic Lab gives the MPX8 a thorough look in the video above and on the Sonic State website. Add space and character to vocals with the EMT 140-modeled Plate Reverb module, featuring a unique saturation control to emulate the original plate’s preamp. New FX module includes seven new creative effects. Streamlined overview panel for simple adjustments, and added metering for visual feedback. Over 150 new presets, in styles that range from classic to modern.